Studio(s): Black Squirrel Films, Confluential Films, Lionsgate. 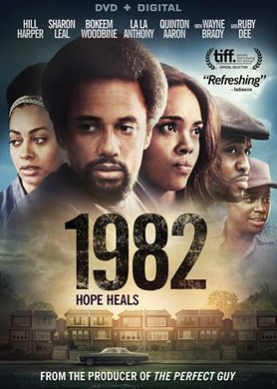 Cast: Hill Harper (Tim Brown), Bokeem Woodbine (Scoop), Sharon Leal (Shenae Brown), La La Anthony (Neecy), Omar Benson Miller (T. K. Williams), Quinton Aaron (Turtle), Wayne Brady (Alonzo), Elise Neal (Stacy), Ruby Dee (Rose Brown), Troi Zee (Maya). Story: When a government assassin is asked to do one last hit before retiring for good, he finds himself befriending the target and falling in love with the target’s wife and sister. When the agency finds out that he may not execute the mission as planned, it becomes a game of cat and mouse as he decides the fate of his new friend and the woman he truly loves…..who also has a dark secret. Sources: IMDB; Amazon. 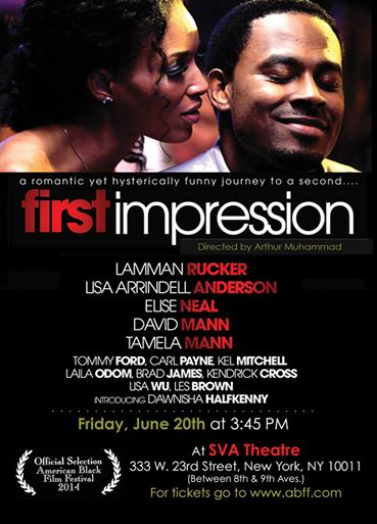 Cast: Alexandra Shipp (Aaliyah Haughton), Elise Neal (Gladys Knight), Christopher Jacot (Ryan Nichols), Lyriq Bent (Barry Hankerson), Rachael Crawford (Diane Haughton), Clé Bennett (R. Kelly), Sterling Jarvis (Michael Haughton), A. J. Saudin (Rashad Haughton), Chattrisse Dolabaille (Missy Elliott), Izaak Smith (Timbaland), Anthony Grant (Damon Dash). 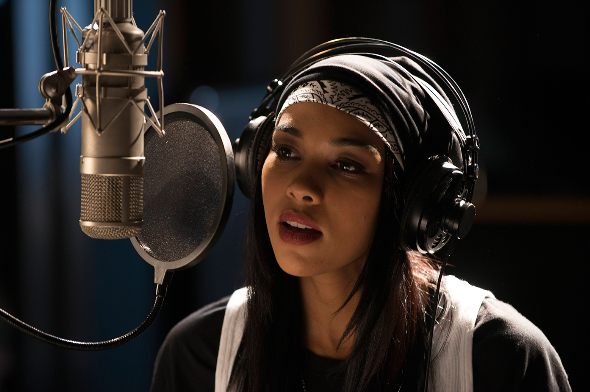 Story: The two-hour movie event is executive produced by Howard Braunstein, Debra Martin Chase and Wendy Williams, and is based on the bestseller Aaliyah: More Than a Woman by former Time Magazine music editor Christopher John Farley. Before Beyoncé and before Rihanna, self-proclaimed “street but sweet” Aaliyah was poised to become a global icon with top-selling albums, a hot movie career and an adoring fan base. The film follows the beautiful and talented performer’s inspirational journey, from her debut on “Star Search” at the age of ten to the challenges she faced during her rise to become the Princess of R&B. On August 25, 2001, at the height of her popularity, her life was tragically cut short when a plane carrying the singer and some of her video crew crashed after takeoff from a Bahamian runway. Although just 22-years-old at the time of her death, Aaliyah continues to lead a legacy as Billboard’s tenth most famous R&B artist of the past 25 years and one of the recording industry’s most successful artists in history. Sources: Lifetime; IMDB. Photo Source: Lifetime.